Do send us a Facebook invite/link if you would like to put up your event on such a scroll next week. Currently it covers events happening in Chennai. We are open to know what happens in the rest of the world. 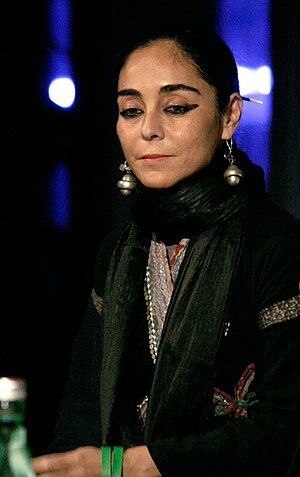 A dual screen video installation by Iranian visual artist-in-exile at New York, Shirin Neshat. Watch and listen to singers Shoja Azari, the man, and Sussan Deyhim, the woman, with their voices bore into gender, culture and history within the framework of ancient Persian music and poetry. A romantic musical comedy about a men’s room attendant who founds an organization which revolutionizes rush hour traffic written, directed and composed by Kurt Kuenne. On the heels of the graffiti renaissance comes a vibrant look at an old-school icon that figured prominently in the hip-hop, rock & roll, and punk movements of the 1970s and 80s. The Boombox Project by Lyle Owerko, a photographer, features contemporary fine art portraits of an array of vintage boomboxes, as well as scores of documentary photographs of the people who brought the boombox movement to life back in the day. This short film directed by Paul Stone and presented by Dropculture.com is a conversation with Lyle Owerko and the project.